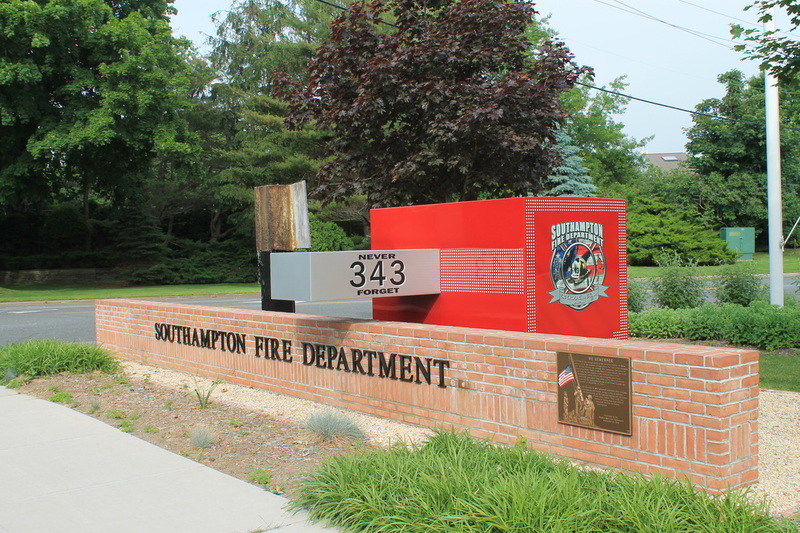 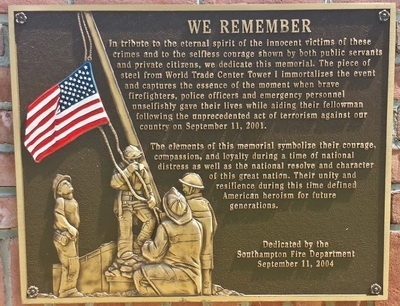 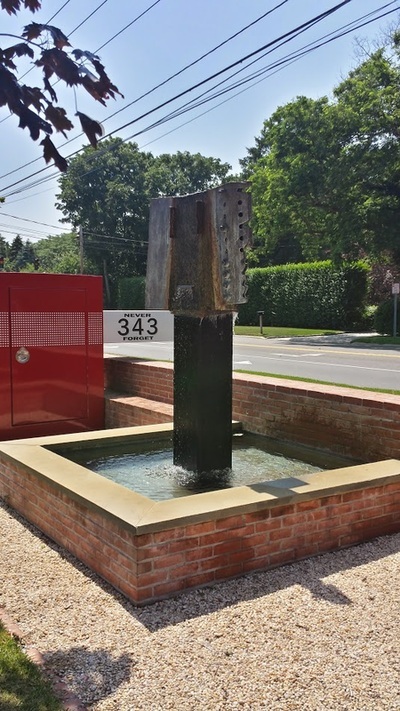 The Southampton Fire Department 9-11 memorial is only one of a few 9-11 memorials on Long Island. It is also unique in that the memorial features an actual piece of steel from the World Trade Center. 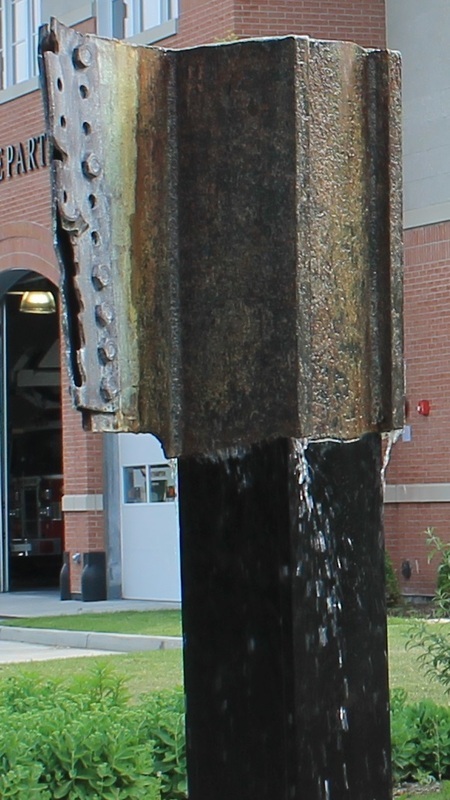 The memorial was designed by a local volunteer fireman Jason Poremba, and all funding and labor was donated from the local community. 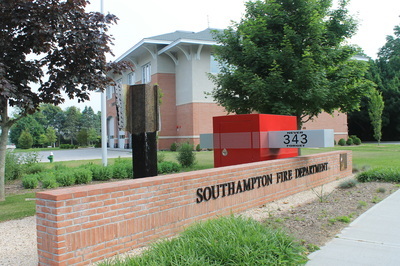 Conceptually the project is based on a long axis or line. 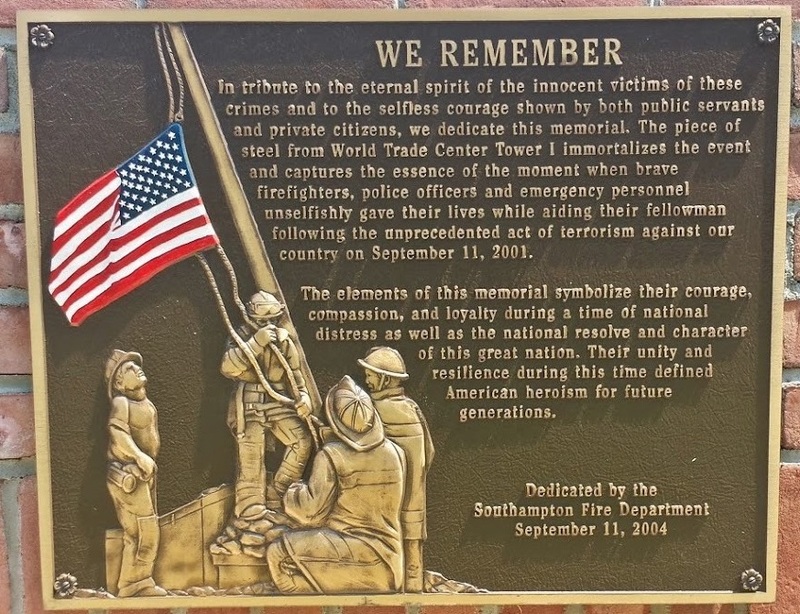 All the key symbolic elements are tied together along that axis ( Flag (patriotism), Red Box (solidarity brotherhood of the fire service, World Trade Steel (memorial), Water + Mirror (tears, reflection). All these elements are then tied together by the human hand with bricks. 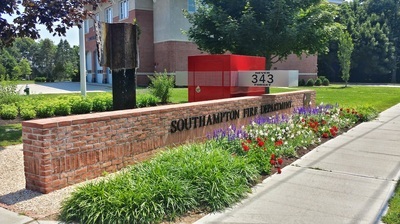 The amount of bricks used in the design are equal to the number of lives lost.